Few people know this, but April 11th is National Pet Day and we here at Overstockart love animals. Whether they are wild animals, farm animals or domesticated pets, animals bring so much joy into the world. Unfortunately, we can’t always make room for the real life versions we would like to have, but art is a great way to add some of the animal kingdom to your own kingdom. 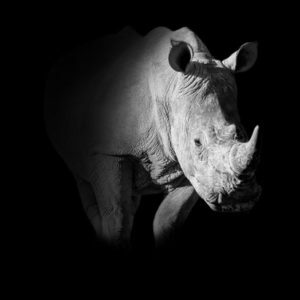 Below are ten pieces that we think you will love, featuring some interesting animals. It was during Giovanni Boldini’s incredibly successful period in the French capitol that this picture was made. His work was in exceedingly high demand among prominent socialites and he made a great many portraits, but this one uniquely includes a furry family member. 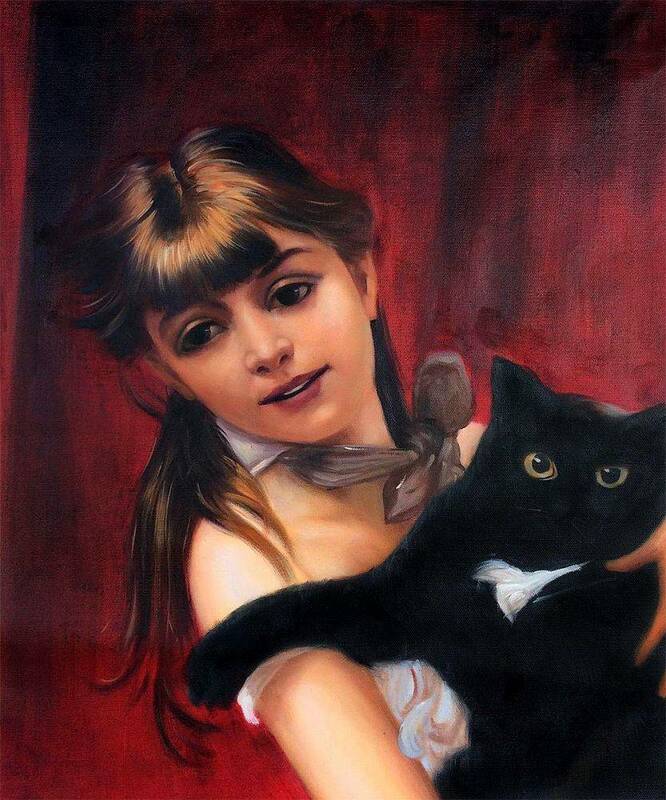 The girl and her feline friend appear poised and elegant, yet alive and in motion. Her classy dress is echoed even in the colors of the cat’s fur which is quaintly reminiscent of a fine suit. Add a bit of animal elegance to your home with this piece. Enjoy a beautiful oil reproduction of one of the most recognized wildlife painters of all time with Archibald Thorburn’s Peacock. One of several Thorburn paintings that feature the colorful Asiatic bird, this blue and white peacock gazes at its unseen target, ready to whip its tail feathers into full display at any moment. Meanwhile these feathers cast a dark shadow on an otherwise white backdrop, adding a sense of uncertainty to the proceedings. 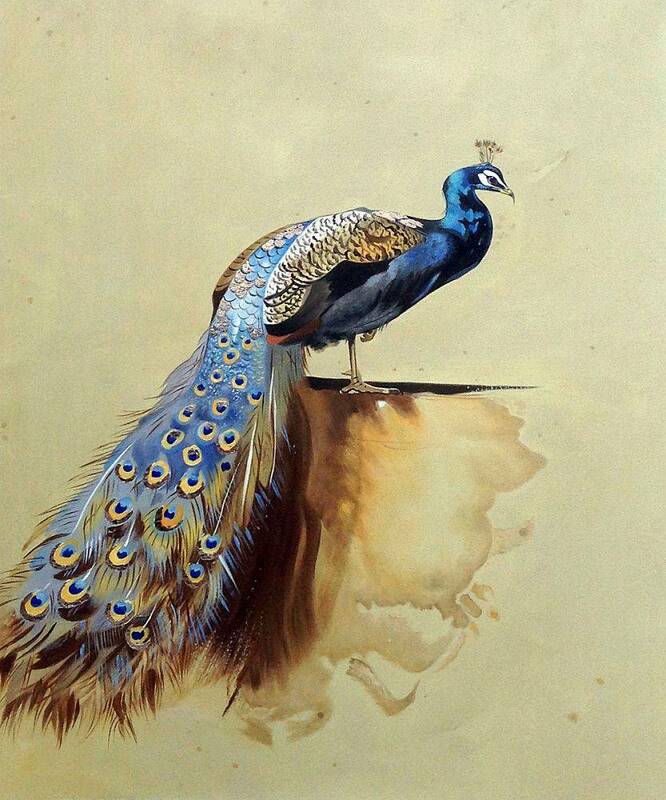 Peacock stands in contrast to much of his work that features lush and evocative backgrounds, making it a unique addition to your collection. For even more luster, we offer this painting in our Luxury Line, which adds gold foil the feathers of the majestic animal. 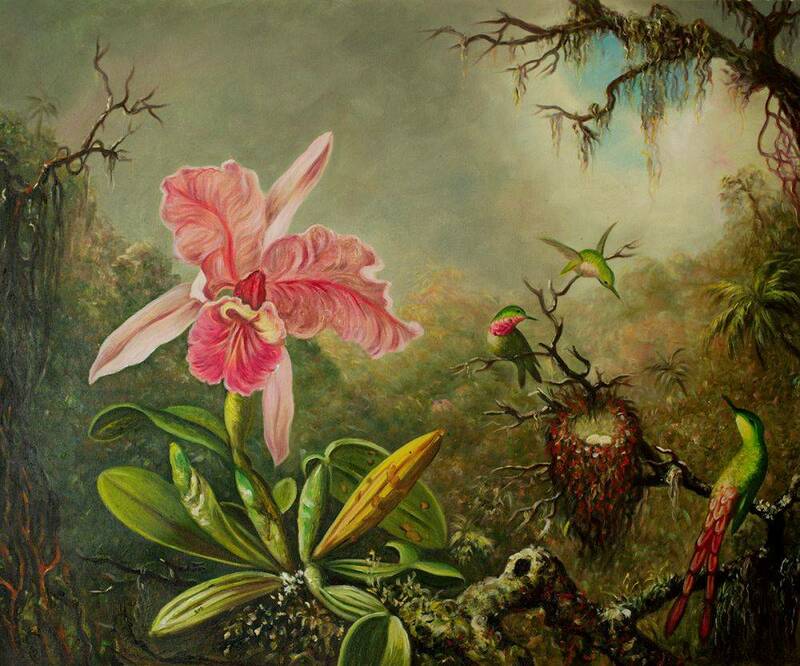 One of Martin Johnson Heade’s many painting depicting the delicate beauty of the hummingbird, this piece also incorporates a rare and exotic flower. 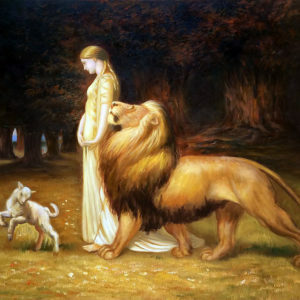 Although he has painted this animal in many different settings, they seem to come alive against this backdrop. 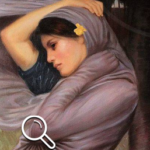 The flower only accents their lively depiction and draws the eye in for a closer look. 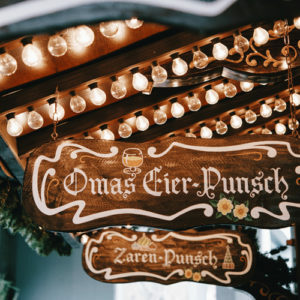 Expect all of your guests to be leaning in for a better view of this lovely piece hanging on your wall. American artist Arthur Fitzwilliam Tait was best known for his ability to capture wild life using his traditional oil painting style, and earthy tones. 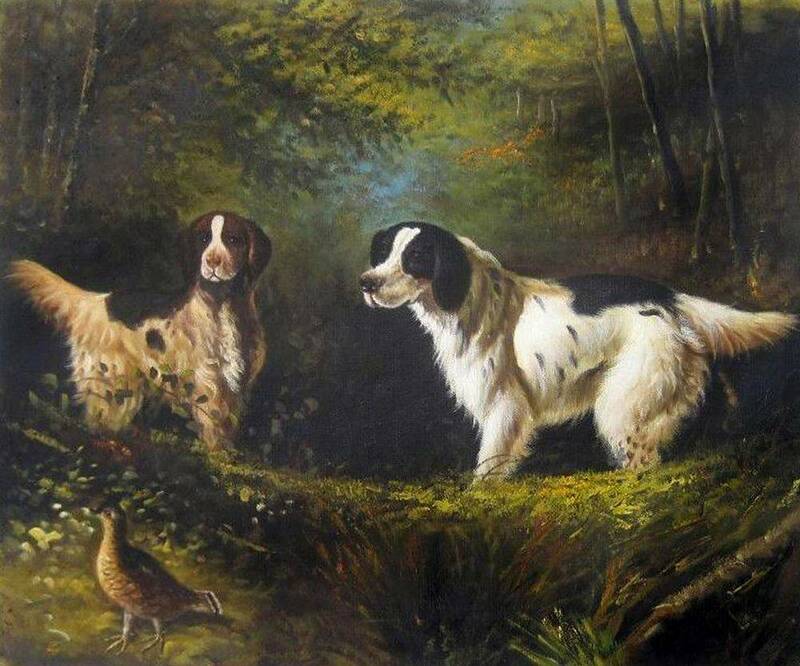 October in the Forest is a beautiful painting of hunting dogs in the forest, enjoying a lovely day in the outdoors. You are not able to see their master in the scene, but you can imagine that he must not be far behind. The way their heads are turned in the direction of the bird shows that they are ready to return home successful from the hunt. Grace your own home with this depiction of faithful obedience. 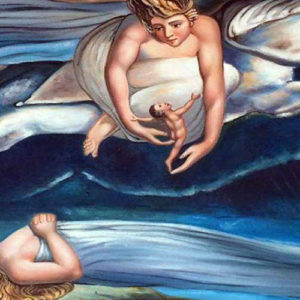 Nora Shepley is known for her use of modern color combinations and pop art style. Her subjects vary from pop culture icons, to character stereo types and even animals. In this piece she is presenting a horse that shows signs of pride in the way he turns away from the audience, showing his elegant profile. The majority of the canvas is done in cool tones, giving a sense of calm, but the accents of red and yellow add energy. 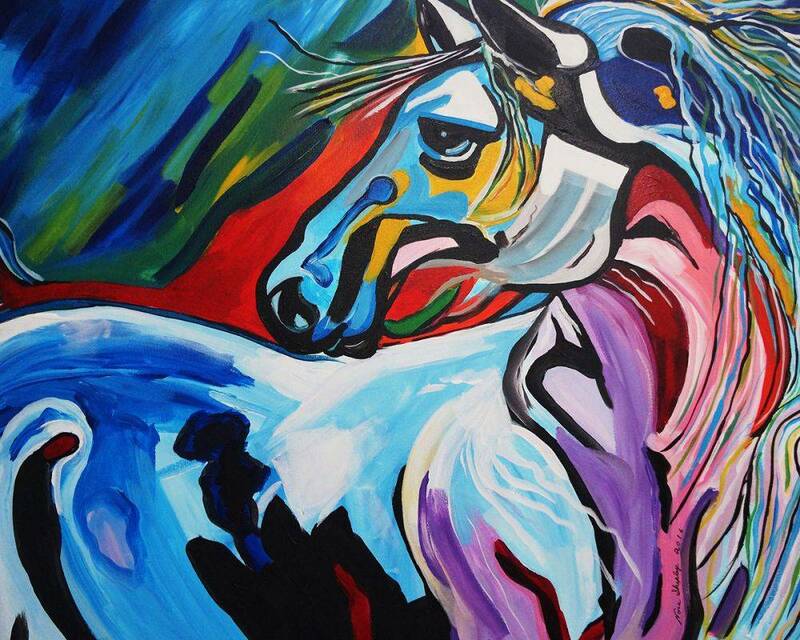 This horse would be a proud addition to any art collection. A French native, many of Atelier de Jiel’s artworks bear his homeland’s distinctive influence in both subject and style. This piece is part of a series he has made of black cats in Paris, it recalls the iconic poster art for famed Montmartre cabaret “Le Chat Noir”. The flattened style with outlined shapes is reminiscent of the French ‘cloissonism’ practiced by Bernard, Gauguin, and even Van Gogh. 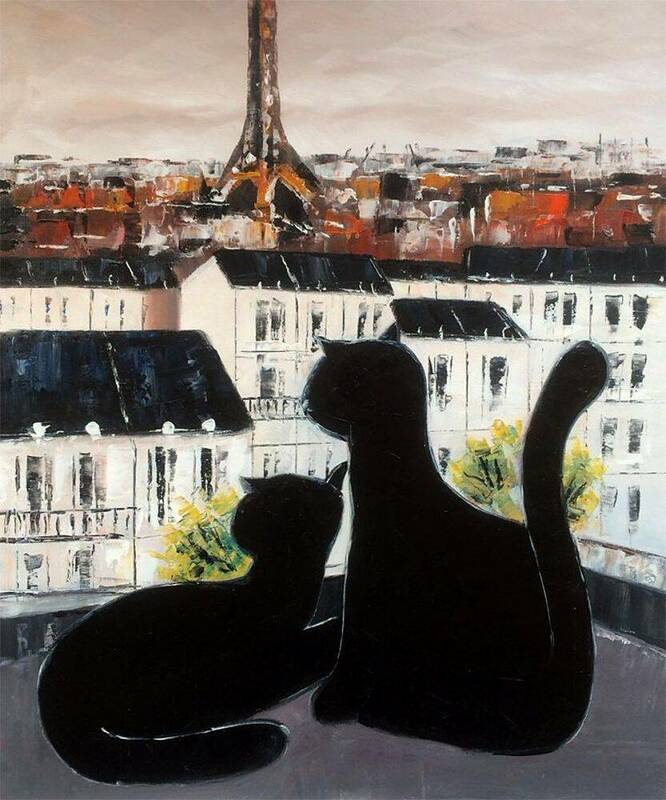 The cats appear to be enjoying the amorous Paris atmosphere while the iconic Eiffel tower stands in the background. Create that same romantic feeling in your home by purchasing this lovely piece. Good Morning is a beautiful painting by contemporary artist, Sanjay Punekar. 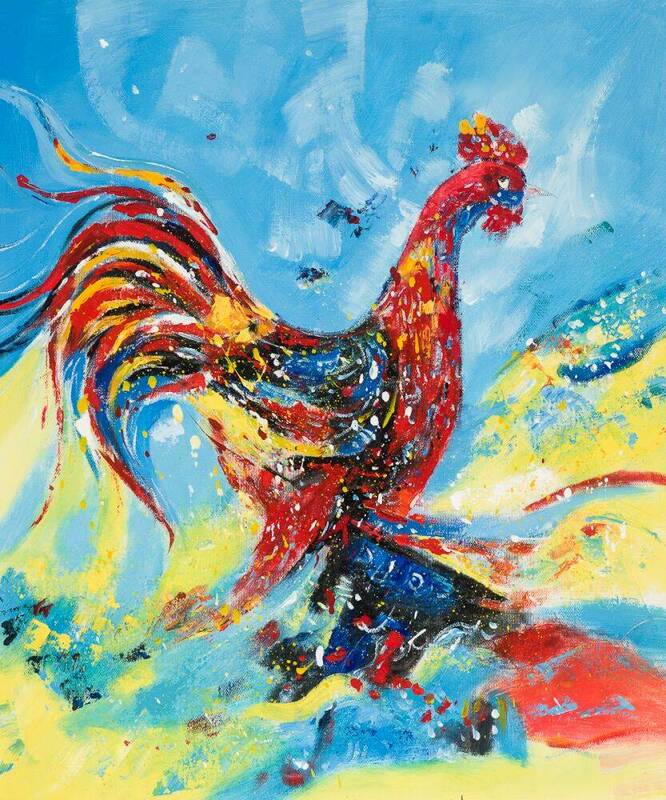 The wide array of vivid colors featured in this piece make this bright painting stand out. The subject, a proud rooster with its detailed feathers and bold colors, is not your ordinary farm creature. This energetic animal will be happy to greet you every morning when you rise and add a little sparkle to your day. 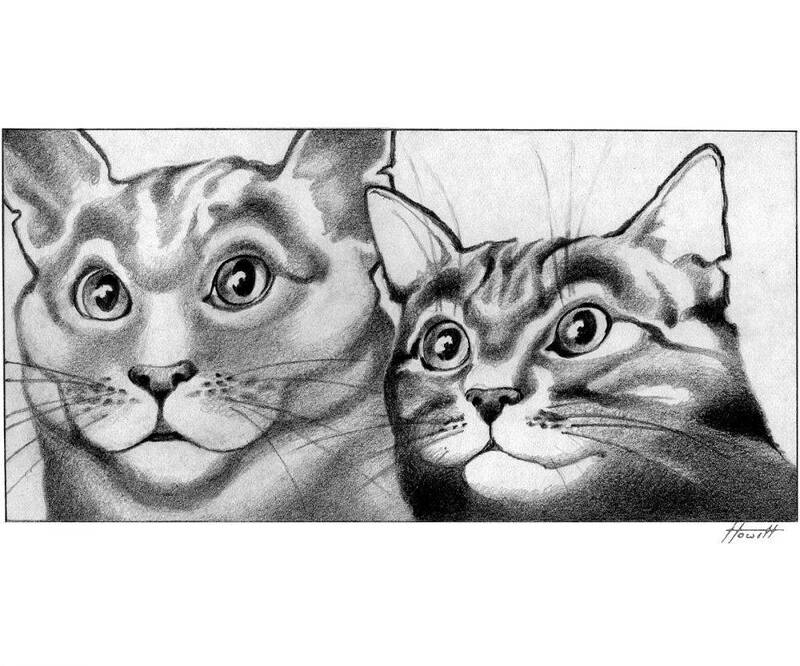 The first thing you notice in this black and white sketch by Patricia Howett is how the cat’s expressions are captured in such detail. Their eyes are expressive as they stare out into the audience, looking at something we can’t see. There is a sense of comradery among the two cats, that are both different and yet similar. That close bond is what makes this piece feel so warm and inviting, as if the cats want to share their friendship with those who gaze at them. Bring them home and make them part of your family. 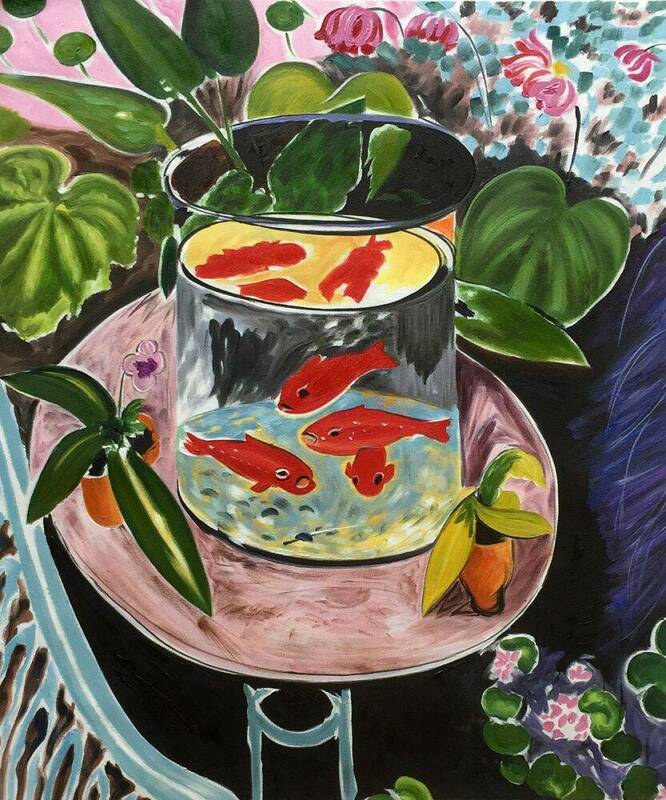 Goldfish were introduced to Europe from East Asia in the 17th century and became one of the popular subjects for Henri Matisse. The color of the goldfish will attract the eye because the bright orange strongly contrasts with the more subtle pinks and greens that surround the fish bowl and the blue-green background. The use of complementary colors makes the entire piece appear brighter. The goldfish appear as a tranquil image, representing a quiet paradise in their own bowl. Add some of that tranquility to your home with this beautiful piece. 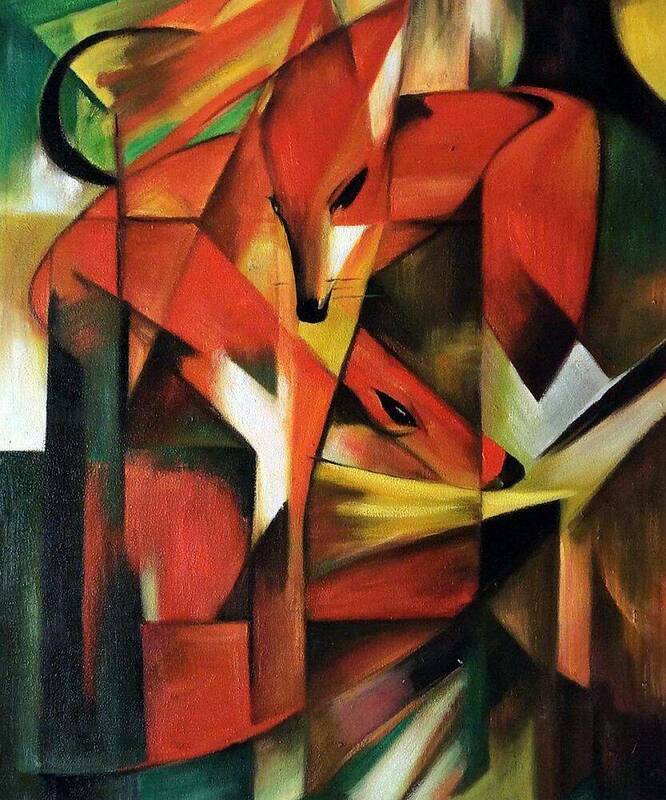 Franz Marc took a unique approach to Expressionism in depicting a number of nature and animal subjects. His works are also noted for their incredibly intense and vivid color choices, even with seemingly docile subjects such as the fox shown here. He wanted to show the wild nature of the creatures but in a way that evoked strong emotion. The fragmented image shows how the modern world had an effect on nature and how they could help ease the tension of daily life. Let these wonderful creatures find a new home in one of your rooms today. These are just some of the wonderful pieces we offer with animal subjects. If one of these doesn’t quite fit what you are looking for, take a look at our animal gallery. There is a wide selection of styles and artists, so there is something for almost everyone. We also offer them in various sizes and some are available with pre-selected frames. Perhaps it isn’t just a picture of animal you are wanting, but a picture of a specific animal. Our custom art department would be more than happy to help you capture an image of a beloved household pet on canvas, giving you a memento for years to come. Just submit a picture to us in the custom order section and we will be happy to get back to you with a quote.